Submitted by maithryfamily on Wed, 01/11/2012 - 01:52. Thanks to all who actively participated in Maithry's XNY'12 event on January 7, 2012 and made it a grand success. We all enjoyed the catered lunch buffet provided by our Premium Sponsor Peacock Indian Restaurant. After the excellent cultural program put on by Maithry members, tea and parippuvada were served at the "Maithry Social Hour." It was great to see the volunteer spirit of all Maithrians at this event, with which the event went on perfectly. Thanks to all the artists and volunteers who helped make this event a grand success. We will try to post all videos on the Maithry website soon, however, please note, a ton of pictures and videos have already been posted on Maithry's Facebook page, so do take a look! Don't forget to click the LIKE button! Maithry is also fortunate to have so many of our local businesses supporting us. We are all appreciative of this, and encourage all to support them as well. Thank you! Submitted by maithryfamily on Mon, 11/14/2011 - 05:57. 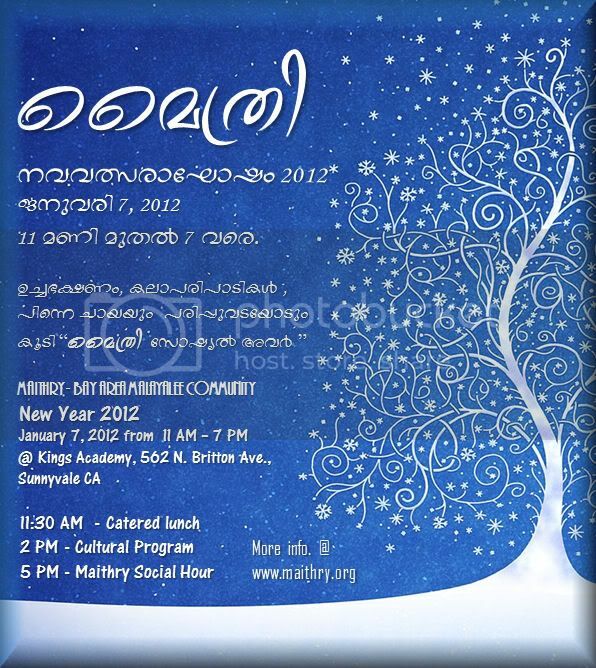 Come, celebrate Maithry New Year '12 with fellow Malayalees on Saturday, January 7 2012 from 11:00. The day will start with a catered lunch, followed by cultural program showcasing the multi-faceted talents of MAITHRY members. We will conclude the event with the ever popular Maithry Social Hour with tea & parippu-vada. Thanks to Peacock Indian Restaurants for providing food at this event. Free : Kids under 12 years. Koshy George, CPA. Tax, Transaction, Business Advisory Services. 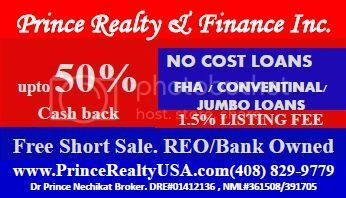 (408) 833-5830 | Financial Planning services too! Raffle prizes sponsored by Fortune Technologies awarded to Maithry members. Submitted by maithryfamily on Tue, 10/25/2011 - 02:55. Fortune Technologies, premium sponsor at Maithry Onam 2011 celebration, sponsored an iPod Nano, iPod Touch and an iPad-2 as raffles prizes. Here are pictures of those who won those prizes! 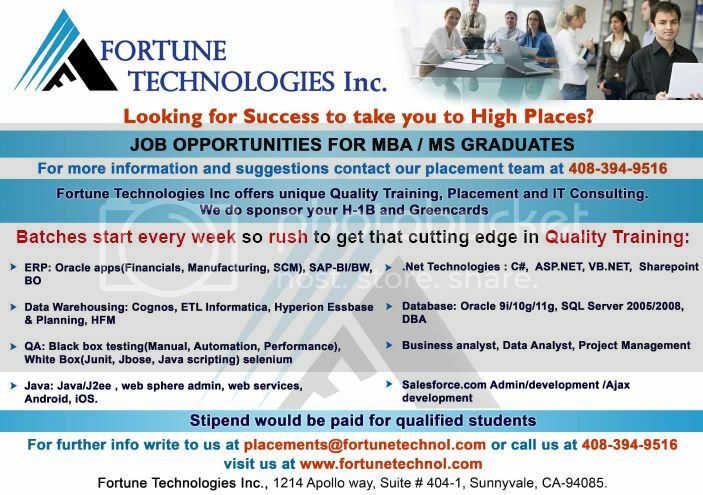 Thanks Fortune Technologies for your continued support. Sajeena M. with iPod Touch. Submitted by maithryfamily on Tue, 10/18/2011 - 05:09. MAITHRY SOCIAL EVENING | RSVP Here! 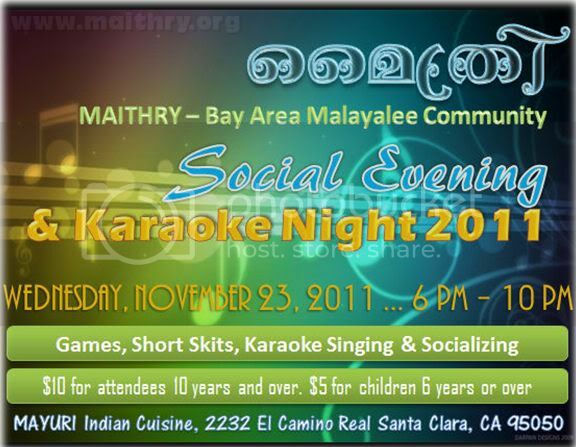 All Maithry members are invited to join Maithry Social Eve on Wednesday, November 23, 2011 at Mayuri Indian Cuisine, Santa Clara. The event will start promptly at 6 with games, skits, and karaoke singing. Dinner will also be provided. If you plan to sing karaoke songs, please specify that in the RSVP form. RSVP Here! Submitted by maithryfamily on Thu, 09/08/2011 - 15:07. Thanks to all for a great Onam celebration! We had a great turn out, wonderful sadya and excellent cultural program. Capping off the evening with Maithry Social Hour was the perfect way to end a great day! Thanks Naji Mohammed, for taking and sharing the pictures in the slideshow below. Expect the unexpected! We are excited to share with you news of the brand new drama "Elsey Nilayam, Kanjirappalli P.O." being presented at Onam 2011 from the same talents who brought "Dushyettaa ... Shaku Vilikkunnu" and "CID-s in America ... Veendum!" Submitted by maithryfamily on Mon, 07/25/2011 - 15:12. Asianet USA 10th Anniversary Celebration Mega Show - AMERICAN DREAMS! The event includes performances and appearances by Suresh Gopi, Suraj Venjaramoodu, Vineeth, Ananya, Aishwarya, Ranjini Haridas, Satheesh Vettikkavala, Azees, Sumesh, Rajesh, Franco, Arun Gopan, Mrudula Warrier, William, Stanly, Sinoj and more! Reserve your tickets - before the show is sold out! Please call Ajish ((904) 887-9619) or Priya (510) 943-8352 to purchase tickets for this soon to be sold out show!